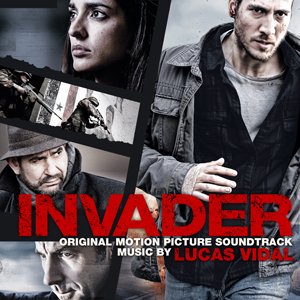 Invader is set in Galicia in the Northwest region of Spain. Vidal recorded the soundtrack with the Orchestra of Galicia. “I had never worked with them before, but they played beautifully, and really exceeded the expectations of everyone on my team,” said Vidal. After an insurgent attack that nearly costs him his life, Pablo (Alberto Ammann), an army doctor stationed in an international mission, is repatriated back to Spain to be with his wife and daughter, where he is given a hero’s welcome and decorated for his courage in the line of duty. Suffering from partial amnesia, Pablo only has vague memories of the events that took place that day in Iraq, but he begins to suspect that he is not being told the whole story. As he finally manages to start putting the pieces of the puzzle together, Pablo realizes that he will have to make a choice; to go along with the official version of events and protect his family or uncover what really happened that day. 5/5 Moving score, well done piece by Lucas Vidal. I Heart Monster Movies... So Do I!! Trailers, Trailers and More Trailers!! !